The April sun is streaming down here in Kent and boy, does it feel good! 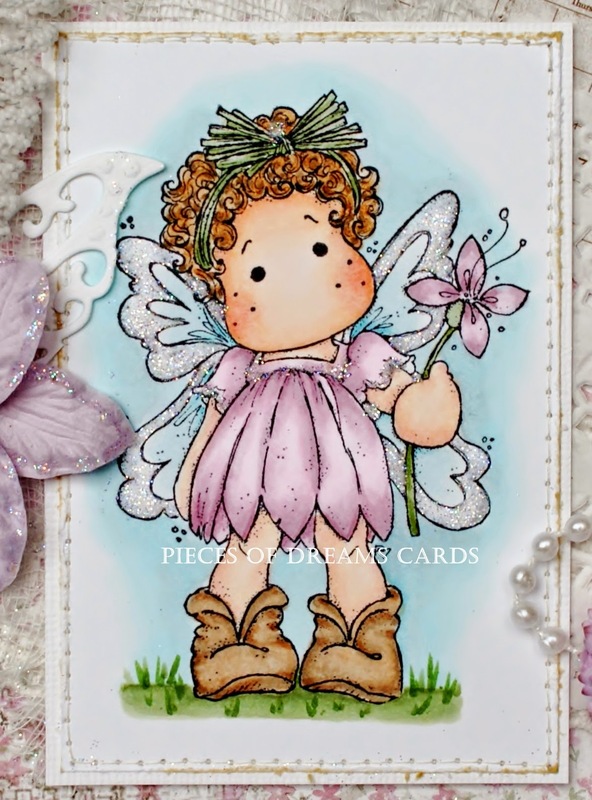 This is a pretty card using Magnolia Tilda the Garden Fairy. The papers are Maja, distressed, inked and stitched. 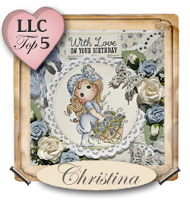 With additions of Pearl stringing, lace and flowers from The Ribbon Girl. Tilda has also been inked, distressed and stitched. She was coloured with Copic Inks and her wings are glittered with fine Glamour Dust, as all wings should be. 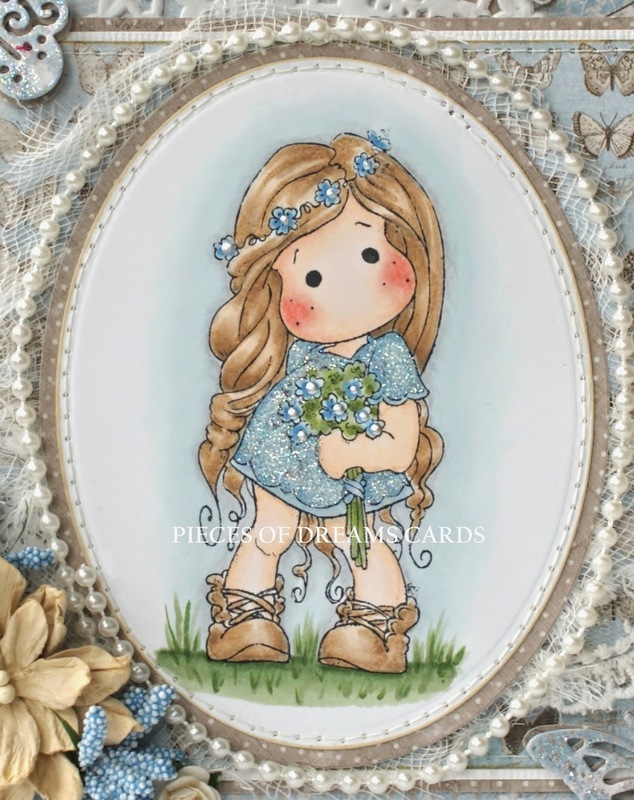 For todays card I have used Tilda Hiding Bouquet, one of my favourites. and Marianne dies and a few doilies. I have found out how hard it is to photograph easel cards! Papers are Magnolia, inked and distressed. 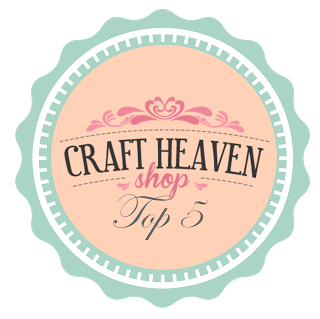 The pretty lace is from Live & Love crafts, the ribbon, pearl trim and flowers are from The Ribbon Girl. The Butterflies are cut from the same paper using Magnolia dies. 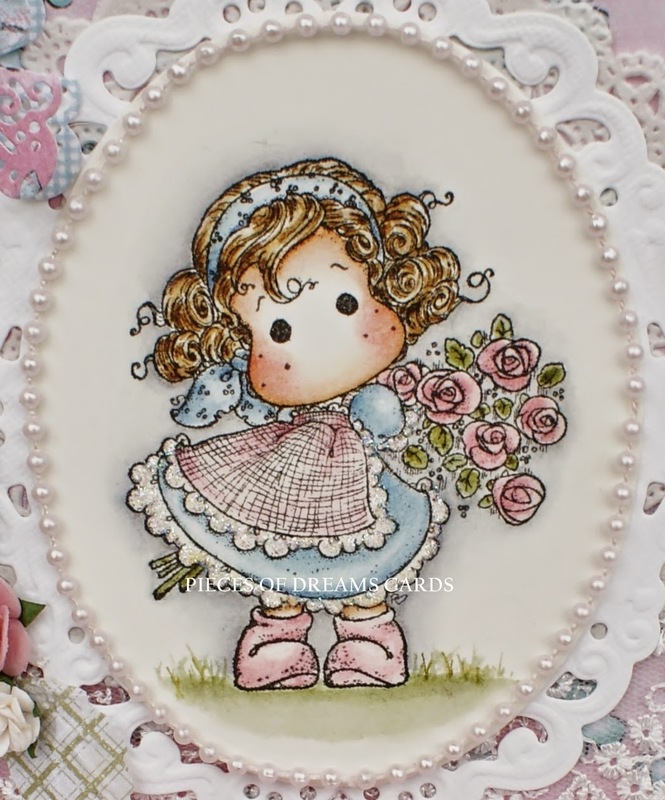 Tilda was painted using distress re-inkers. She has Glamour Dust on her petticoat lace and Stickles on the flowers, but due to bad light the details are not showing. 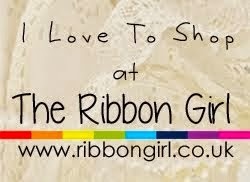 The gorgeous lace...love this and have ordered more! Thank you all for looking girls. 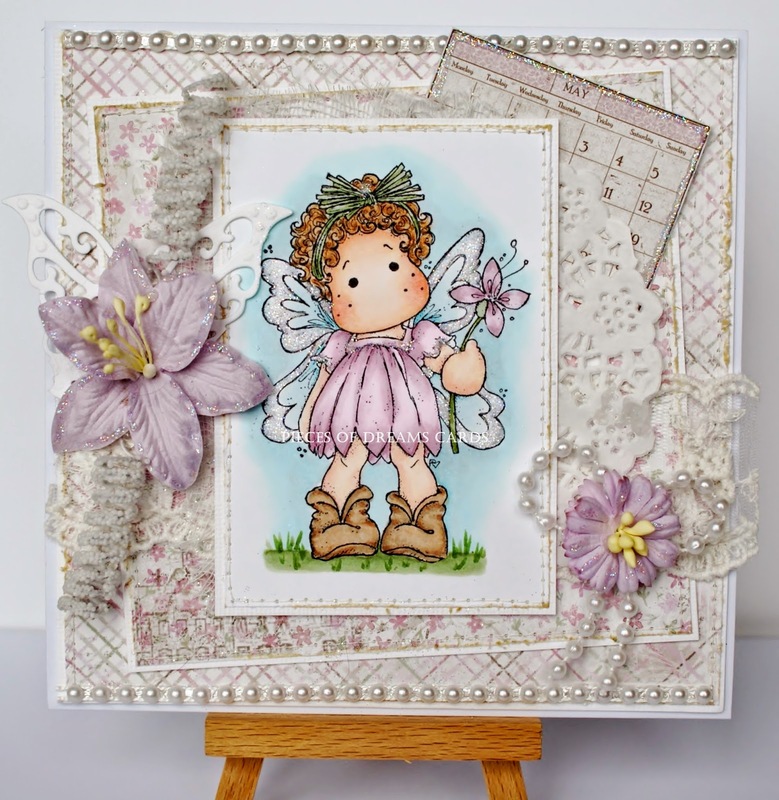 Today's card uses Magnolia's Summer Wedding Tilda from the Special Moments collection. 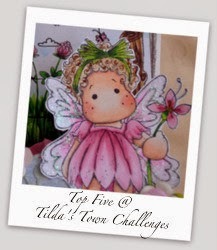 She is one of my favourite Tilda's of all time, so winsome and sweet! 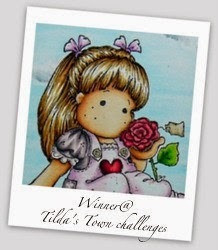 I have colored her with Copic's and used Glamour dust all over her dress for sparkle and put some Perfect Pearls in her flowers. 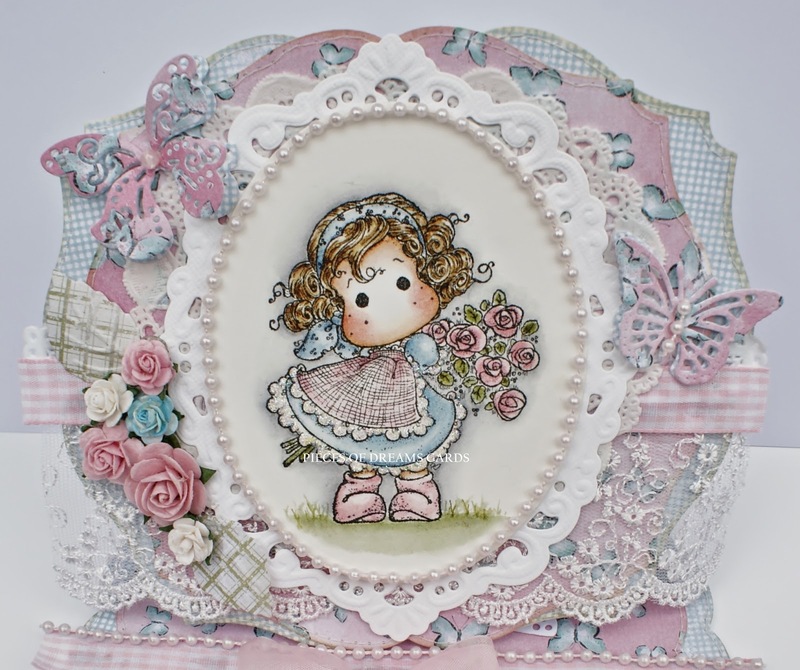 The papers are Maja Spring, from Live and Love Crafts, all stitched and inked and cut with Go Kreate dies. 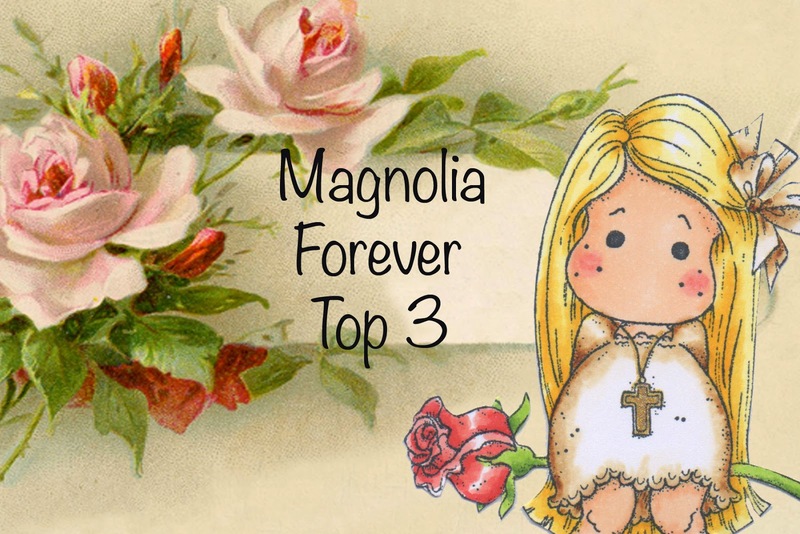 The butterflie dies are Magnolia and Marianne, layered and "stickled".